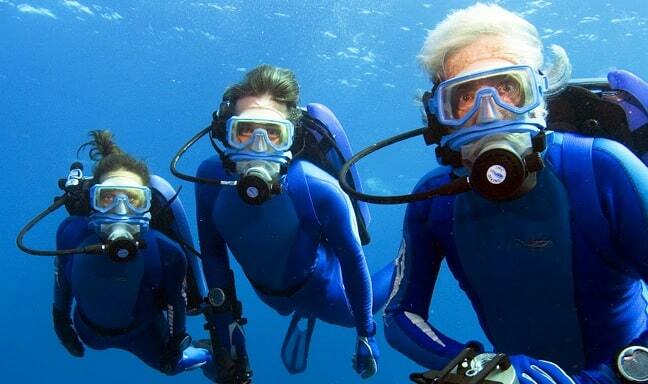 One of my earliest influences in the field of nature/wildlife conservation was Jacques Cousteau. In films and TV shows such as The Underwater Odyssey of Commander Cousteau, the legendary explorer-turned-conservationist inspired a generation with his passion for marine life and the preservation of their habitat. 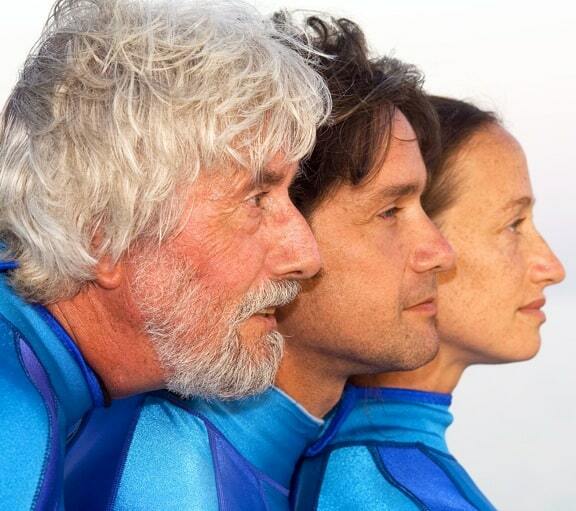 Jacques and his eldest son had a notoriously difficult relationship, but Jean-Michel Cousteau ran the Cousteau Society for the Protection of Ocean Life for 14 years before starting his own non-profit organization, Ocean Futures Society. Now, through OFS and books and films such as My Father, The Captain, Jean-Michel continues to spread his father’s message on the importance of marine conservation. 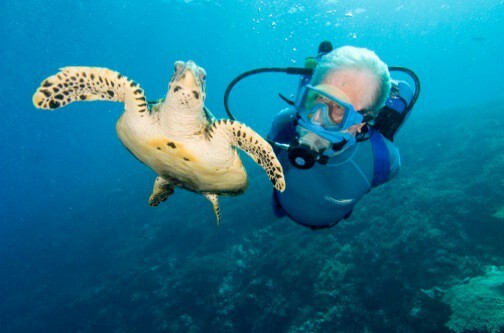 I was honored to get a chance to talk to the 74-year-old adventurer/educator about the legacy of Jacques Cousteau, the evolution of the conservation movement, and what each of us can do to help protect our planet’s precious oceans. Talk to me a little bit about your father’s influence on you as a marine conservationist. Conservation, biodiversity… those words did not exist when I was a child. My father was a gentleman whose curiosity led him to do amazing things, but at the time he was unknown. We lived in the south of France because he was in the Navy, stationed in Touloin. We grew up along the coast, and I was in the water pretty much every day. At the age of seven, he put a tank on my back and on the back of my 4-year-old brother, and we became instant scuba divers. There was no certification in those days: It was the very beginning of Scuba. When I was 18, when he wanted me to wear a tuxedo for the opening of The Silent World in 1956, I realized my father must be a big shot. When did you begin taking a more personal interest in conservation? It registered with me back then that there were less and less fish, and more and more garbage, where I was going in the water. That was the foundation of everything I’ve done since then. My father’s sense of curiosity was not only imprinted upon me, but the entire team, including my mother. She played a critical role during the decades of my father’s exploration. She wanted to be a naval officer, but in those days women were not allowed. The best she could do was to find [a naval officer] and marry him. He quit the Navy and bought his own boat, and she spent more time on the Calypso than my father, myself and my brother put together. That’s why I wrote the book, My Father, The Captain, which was published by National Geographic: I read unauthorized biographies and realized that many mistakes were made, so I wrote the book to share the truth. Was it difficult to revisit your somewhat turbulent history with your dad? Yes, the book was very tough for me because you have to tell the reality. 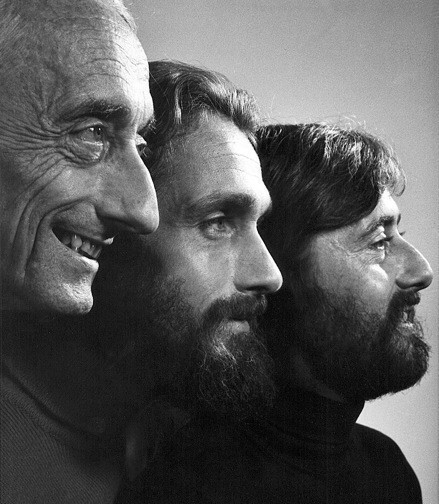 The fact is that Jacques Cousteau was not necessarily an easy gentleman to live with, but he was fascinating. I don’t regret one second, except that I wish he’d lived another 10 years. The book led me to focus on making a 1-hour special about the impact my father has had on today’s decision-makers. I did 47 interviews highlighting some of the people who have made a difference in our world. I spoke to David Wolper, the producer who put Jacques Cousteau on television worldwide, and Dr. Phil Nuytten, who is opening the door to the next wave of ocean exploration with the Exosuit. You’ll be able to go down to 1000 feet in 5 minutes. You can swim, be propelled, and walk on the ocean floor for 10 hours or more. This is so exciting! To me, he is the next Jacques Cousteau in terms of exploring the ocean. 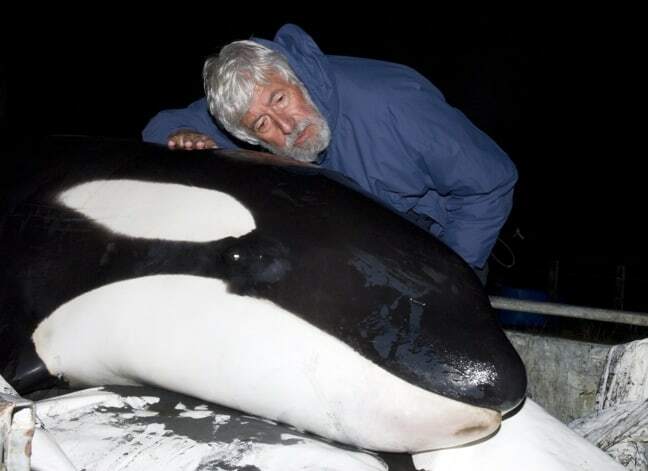 How would you say thoughts on marine conservation have evolved since your father passed away? It’s evolved in the fact that you’re calling me, and there are more people who care. Those words– marine conservation– are now part of the vocabulary people use every day. We are all connected thanks to the Communication Revolution, with 7 billion people around the world who can now talk to each other. There are no more borders. I think we need to understand that there is only one ocean– one water system– and, if you ski or drink a glass of water, you are skiing on the ocean or drinking the ocean. We all depend on the quality of that water for the quality of our lives. The fact that there are 4000-5000 kids dying every day because of polluted water has to change. The young people today, who understand the importance of the management of our environment, will be the good decision makers of tomorrow. They’ll take care of those 4000-5000 kids. I believe that will change due to education and communication. Every human being has a heart, and we need to reach their hearts in order to make a difference. Can you talk about how that relates to the Ocean Futures Society’s mission? Our educational program, Ambassador of the Environment, is expanding in different parts of the world. We’ll open 2 in the next six months– one in St. Thomas, the other in Puerto Rico. We have one on a cruise ship, one on Catalina Island, one in Hawaii and so on. That educational material is available to teachers and to all of the kids who come into the program. Our second educational program is called Sustainable Reef, and it’s sponsored by people who want to adopt a region such as French Polynesia, British Virgin Islands, or American Samoa. We’re going to be doing the same thing in the State of Amazonas with a new program called Sustainable Rainforest: The Amazon is the biggest rainforest in the world, and contains up to 20% of the fresh water on the planet. That’s a very exciting project for which we need funds, and we’re working with people who will help us. One of my favorite quotes from you is “Protect the ocean and you protect yourself”. Can you explain why protecting the ocean is so important? That’s our short mission at Ocean Futures Society, which I created to honor my father’s philosophy after he passed away. The idea is very simple: We all depend on the quality of the ocean’s water. The ocean evaporates and creates clouds, clouds create snow and rain, which makes the rivers and streams. We drink it, we bathe in it– we use it all the time. If you have no water, you have no life. If you have bad water, you have bad life. We’re all connected to that water system: Not just humans, but plants and animals, too. So we need to manage it like we manage a business. If you live off the interest produced by the capital, you can go on forever. We’re adding another 100 million people to the planet every year, so we need to become better managers. And there are ways to solve the problems we are facing today. People can sometimes become disheartened with all of the bad environmental news. What steps should people take to get involved with improving the state of the marine life? The public should stop being blinded by the media. The media can sell bad news, but they have a hard time selling good news. And there is a lot of good news, thanks to science, researchers and communicators. It starts at home, with every one of us. All the time I ask, “What else can I do?” I’ve changed my car, and I save $600 a year because of my small hybrid. I turn off all the lights, and that’s money at the end of the month. I’m not using any plastic bags, because I have my own bags. Every one of us has the opportunity to save money and help the environment. The same thing goes for industry, towns, villages and cities. We can all do a better job. We want to stop using the ocean as a garbage can, because it kills that food which we depend upon and puts fisherman out of business. We need to stop allowing chemicals and heavy metals to go into the ocean. There are new technologies, new treatment methods, which means new jobs. What keeps you going now, when you’re in your mid-70s?